One of our aims as a Business Improvement District is to create strong links between companies in and around Marble Arch and their surrounding communities. We are developing a programme which supports companies to engage with local schools, charities and community partners through skilled and unskilled volunteering, in-kind donations and fundraising. Team challenges can be a popular starting point for first time volunteers or companies without a specific volunteering policy. 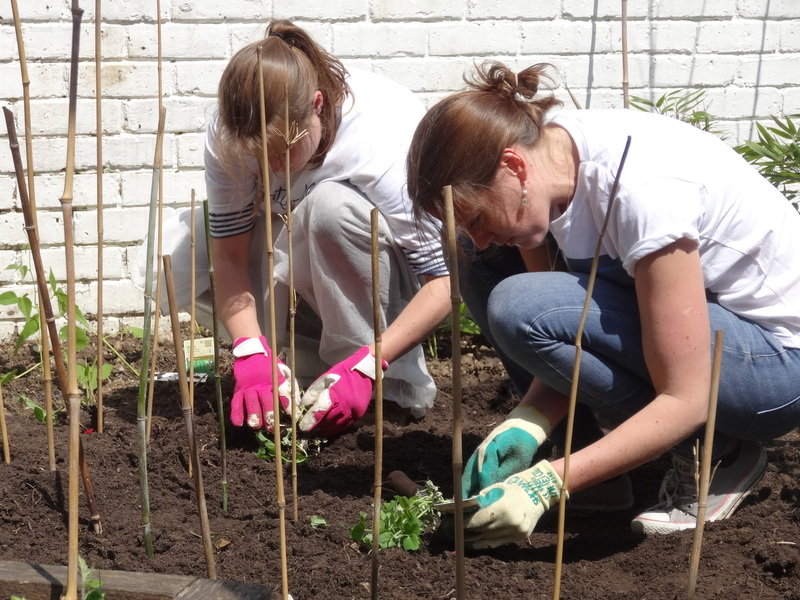 Projects like decorating, cooking a meal at a centre, a litter-pick or gardening for charities and vulnerable groups can transform spaces for community use. Skilled volunteering can see individuals or groups engaging with a charity, school or project over many months to run a project from start to completion. Volunteers can build websites, create marketing plans, refresh business plans, help charities get online and manage donations, develop pricing frameworks and stock control systems for charity shops. Small groups of volunteers can hold CV clinics and mock interviews for school leavers, or give a careers talk, an invaluable hour spent for both the volunteer and every single pupil. Individual volunteers can become peer mentors for charity leaders in the area. Volunteering can be done alone or in a group. It can be just one day or one hour a week for three months. Either way, the difference it can make is enormous. Our Community Programme is free to businesses paying the BID levy and we can work with you to match business goals with local community needs. Drop us an email if you’d like to volunteer or for more information. Overhaul a garden as a team challenge. 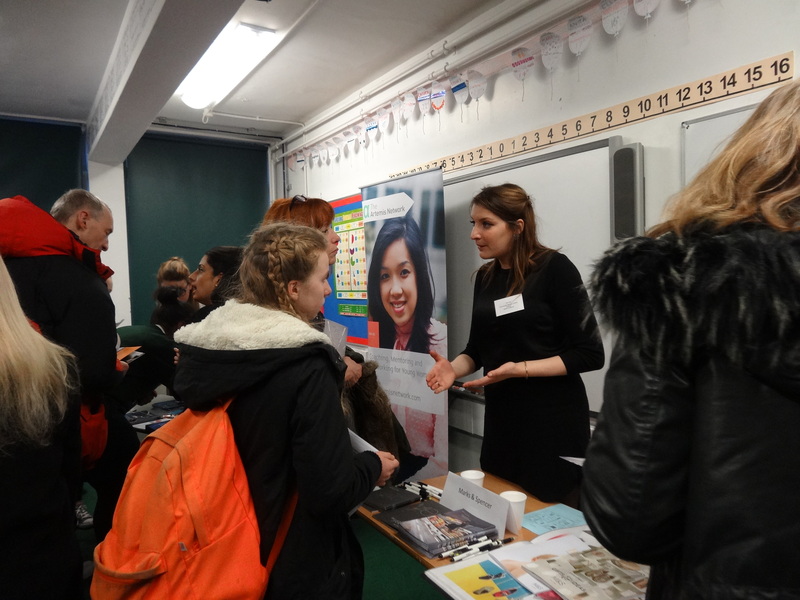 Your company could have a stand at a local school careers fair. Decorating a local community centre or room can be a great team building exercise. 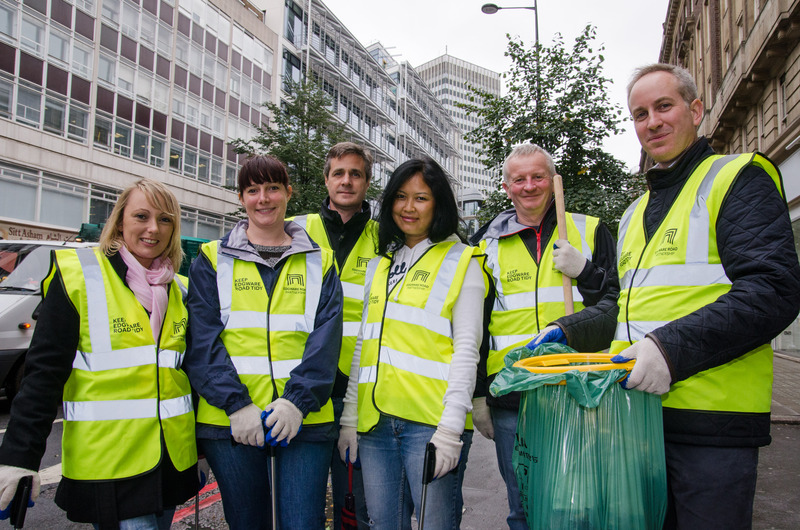 Organise a litter-pick in the BID area with us, we can provide the equipment.